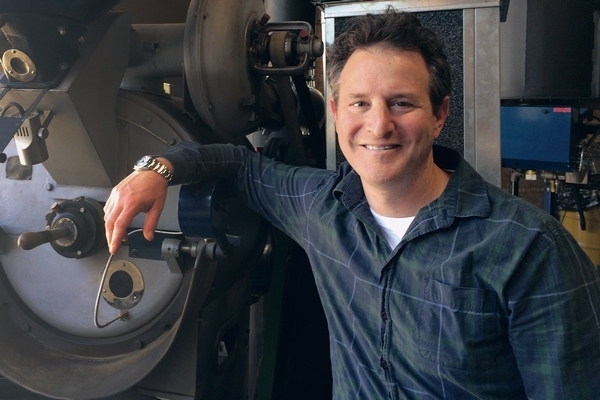 Tony Dreyfuss, co-founder of Metropolis Coffee, and his wife were celebrating Mother’s Day with their infant child in 2006 when he got a call about a broken coffee brewer. “I said, ‘Gotta go.’ And I left on my wife’s first Mother’s Day. I wasn’t taking stock,” Dreyfuss recalls. It was a low point for them, but not low enough to make him pull back from the long hours building his business. Six years and two more children later, his wife, Karen, pulled him aside and said something had to change. The Chicago businessman, 41, grew up in Madison, Wis. He was a skateboarder who took up juggling and photography. Since he was a child, “he’s had a limitless imagination,” says Tony’s father and business partner, Jeff Dreyfuss. Tony Dreyfuss says he was prone to making life-changing decisions on a whim. His career began while he was driving a cab as a student at the University of Wisconsin, where he earned a philosophy degree. He pulled over one night for coffee and was so struck by that particular cup’s flavor, he decided right then to make the drink a career. To him, that meant running a coffee shop. “At that point I wasn’t thinking about roasting it,” he says. Dreyfuss found retail space in the city’s Edgewater neighborhood for a coffeehouse and roasting facility. That was in 2002. With counseling, medication, dietary changes and at least eight hours of sleep a night, Dreyfuss says he’s as healthy as he’s ever been. He carves out open time on his calendar, which allows him more time to think creatively. The company has thrived as a result, he says. On the patio of Metropolis’ new headquarters in the Avondale neighborhood, Dreyfuss’ phone goes off midconversation. He pulls it out and turns it off.